Rebecca joined Berry Bros. & Rudd in 2000 following a career in music teaching at Warwick Academy in Bermuda. 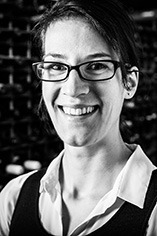 She now manages our Wine School, Tastings, Dinners and Food & Wine matching events. Rebecca is passionate about wine education because it encompasses so many fascinating subjects which interconnect and have relevance to individuals: sensory perception, history, innovation, tradition, art, health, geography, geology, biology and chemistry, to name but a few. She is convinced that everyone can be an excellent taster, especially with the delicious range of wines at Berrys, and she encourages you to learn through taste. She sees this as her mission when you attend Berrys' Wine School. 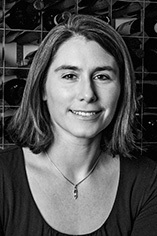 Rebecca is also dedicated to bringing together the talents of Berrys' many gifted experts to share their profound knowledge of great wine throughout the schedule of ticket events. Barbara joined Berry Bros in 2011 and alongside Rebecca & Anne helps to organise all of the dinners, luncheons, tastings, one-day wine schools and examination courses in the cellars. She is particularly passionate about unusual, obscure or just plain unloved wine regions, and loves experimenting with food & wine matching. Barbara believes wine to be one of the most rewarding subjects to study, as there is always something new and exciting to discover. 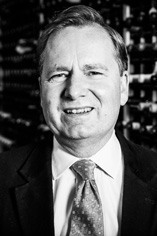 Jasper Morris MW developed a reputation as a leading authority on Burgundy while running his own importing business, Morris & Verdin Ltd from 1981 to 2003, at which point he sold the company to Berry Bros. & Rudd. He continues to work for Berry Bros. as Burgundy buyer. Though a frequent visitor to the principal Pinot Noir growing countries of the world, Jasper now mainly divides his time between the UK and Burgundy. His reputation as a Burgundy expert was further enhanced in October 2010 with the publication of Inside Burgundy, a lifetime’s study of the vineyards and vignerons of the region, which has subsequently won the prestigious André Simon award for the best wine book of the year. The first two electronic instalments, Côte de Beaune and Côte de Nuits, are now also available as eBooks on iPads. 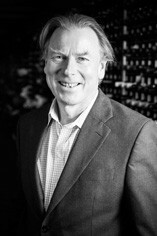 Martin Hudson joined the wine trade in 2002, after 25 years in quality assurance and designing computer cables. Alongside this he had run an internet company importing and selling Loire Valley wines, so deciding on a career change was made easier, especially as he could not find a way of making money from his other passion, racing classic motorcycles. 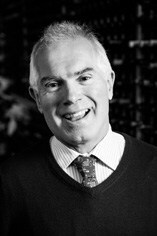 Martin joined our Warehouse shop in 2003, and successfully completed his Master of Wine qualification in September 2008. He is convinced that winemakers are some of the most passionate, varied, opinionated and in some cases eccentric people around, who in turn make wines that reflect their personality. This diversity is the great appeal of the world of wine. 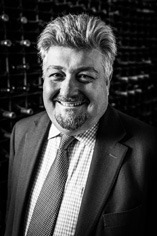 Chris has worked in the wine trade since 1992 and joined BBR in 1997. After working at the Berry Bros. & Rudd Heathrow stores for many years, he joined the Head Office team in 2004. Initially working with the Website and Telesales teams, Chris has recently joined the Fine Wine Team, selling to private clients and Cellar-Planners. With a passion for all things Italian, especially the wines and food, Chris has been presenting our Italian themed Dinners in The Cellars since 2000 and now also presents our One-Day Italian Wine Schools. Simon joined Berry Bros. & Rudd in 1998, having spent several misguided but lucrative years working as a Chartered Accountant in the City. His passion for opera and travel is well suited to buying trips down the Rhône and into the darker recesses of Andalucia. In addition to buying the Languedoc and fortified ranges, Simon is also responsible for purchasing wines from Provence, South West France and England. His three favourite areas of responsibility, however, are the Rhône Valley, Champagne and Spain, where he is the process of building the already impressive range. 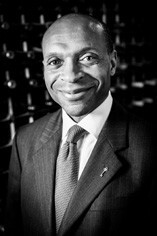 He gained his Master of Wine qualification in October 2002. Catriona graduated from St Andrews University with a languages degree and spent the first few years of her working life at a Spanish petrochemical company. 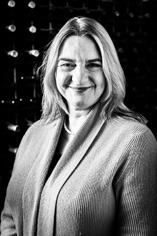 Having rapidly discovered a love for wine, she moved her career to the wine trade.in 2004 and gained a thorough grounding in the trade as an Oddbins’ Manager. She joined Berry Bros. & Rudd's marketing department in April 2007, became Direct & Interactive Marketing Manager in September 2008 and moved to her current role in 2013. Catriona won the WSET Vintners' Scholarship and Vintners' Cup in the wine Diploma exams and in 2012, she passed the Master of Wine examinations to become our first female MW. Edwin left a 20 year medical sciences career, during which time he organised staff wine tastings, to enter the world of wine full-time. Having 'graduated' from Oddbins and via a short spell with Laithwaites, he arrived at BB&R in 2005. Since then he has developed a passion for the wines of Alsace, Burgundy and especially Champagne.